For those that enjoy camping in Northern California but no longer want to or can’t sleep on the ground, there’s good news. Rustic cabins are popping up at State and local parks. The newer cabins being installed are fairly similar in design and amenities so you mostly know what to expect from site to site. 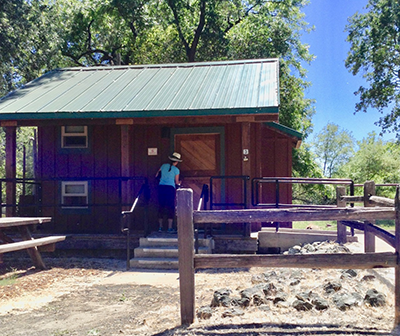 The unfurnished cabins typically sleep 4-6 in platform beds (some bunk beds), and you must bring your own bedding and in some instances mattress pads. There’s no kitchen or cooking inside the cabin, but outside you’ll find a barbecue, fire pit, and picnic table. Many are equipped with electricity, heaters, and lights, and some even have cooling fans. Rates range from $60-$100. Disabled discount passes generally don’t apply. North Coast: Patrick’s Point State Park, Jedediah Smith Redwoods State Park, Prairie Creek Redwoods State Park. Bay Area: Samual P. Taylor State Park and Spring Lake Regional Park in Santa Rosa. One is coming this fall at Del Valle Regional Park in Livermore. BORP Cycling Assistant Abdullah Mojaddidi Talks About Training, Nutrition, and the Revolution! 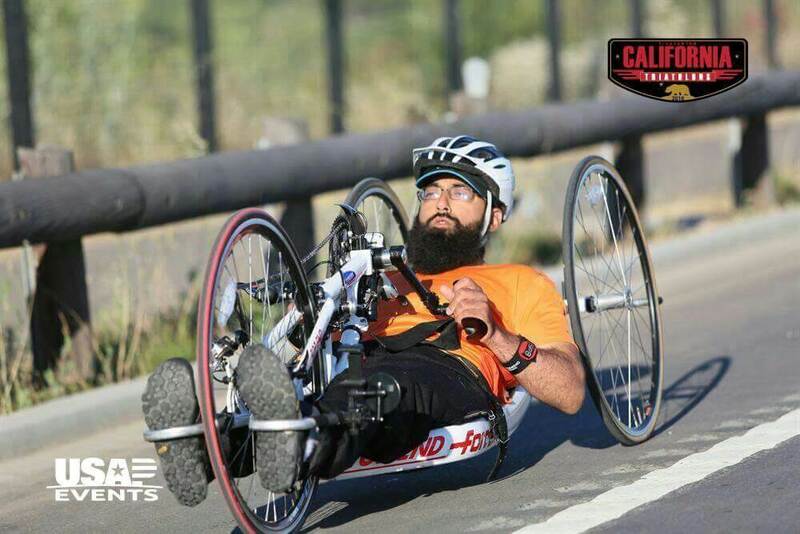 With Revolution fundraising and training in full swing, we thought we’d check in with BORP Adaptive Cycling Assistant Abdullah Mojaddidi to find out how he trains and gets ready for big bike rides. I am a 31-year-old SCI athlete who has been involved with BORP 4 years now. After one year of being involved with BORP’s adaptive cycling program, cycling became my new favorite passion. It’s now been almost 3 years as a staff member for the adaptive cycling program! What’s one interesting or unexpected fact about yourself? What is your favorite thing about cycling? My favorite part about cycling is the body position that I am in. As a paraplegic for 11 years now, sitting is painful. On the bike, laying so low to the ground and recumbent, my body feels so relaxed and comfortable. My other favorite part is, of course, going fast! How do you train for longer rides? To train for longer rides, I focus on proper diet and long periods of physical training. Since cycling is an aerobic exercise, I prepare my body two days in advance in diet or calorie intake. I typically consume 1,500 to 2000 calories a day. Physical training occurs 6 times a week in a gym or on the cycle for at least 1 hour. If I am in the gym, my workout consists of high repetition and low weights. On the bicycle, I have to at least average above 100 cycles per minute for more than one hour. Do you try to eat any specific the day/night before a long ride? Yes! I drink plenty of electrolytes and eat fewer carbohydrates and more protein. While carbohydrates break down faster than protein, they both provide the long lasting energy an athlete needs to go that extra mile. What about the morning of–what do you like to have for breakfast before a ride or race? What’s your favorite fuel to keep you going while you’re cycling? I enjoy bringing snacks like cliff bars, protein bars, and plenty of water and coconut water! What’s one piece of advice you have for other hand cyclists? What is your favorite part of the Revolution? My favorite part of the Revolution is seeing people enjoy a well-deserved massage after a long ride! The Revolution Ride & Festival is BORP’s most important annual fundraising event, but it’s also a lot of fun! The event brings together the entire BORP community, including cyclists of all ages and abilities, for a day of riding bikes, having fun and celebrating in California’s beautiful Wine Country. 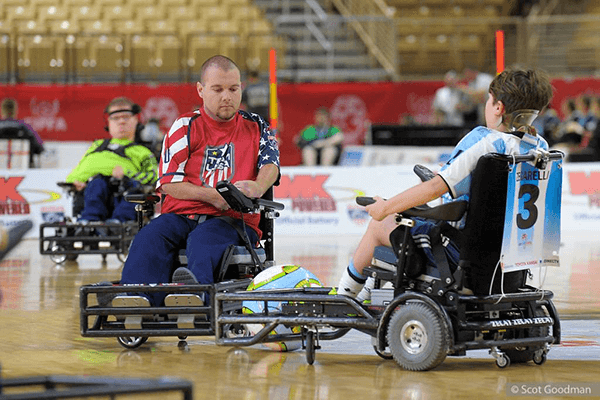 The money raised for the Revolution provides critical support for all of BORP’s programs, from wheelchair basketball to power soccer to adventures and outings, and everything in between. At BORP, we believe that sports and recreation provide a path to greater achievement to which all people should have access, and the Revolution helps us make that a reality for people physical disabilities and visual impairments in the greater Bay Area.